Portsmouth Naval Shipyard in Kittery. KITTERY, Maine — U.S. Sen. Susan Collins announced Thursday the fiscal year 2019 Military Construction and Veterans Affairs Appropriations bill, including more than $162 million for Portsmouth Naval Shipyard, is headed to the president’s desk to be signed into law. The three projects approved for the shipyard include $110 million for the Dry Dock 1 superflood basin improvement, $40 million to extend Dry Dock 1′s portal crane rail and $12 million for the Defense Logistics Agency’s consolidated warehouse condition. Collins, a Maine Republican, is a senior member of the Appropriations Committee and the Military Construction and Veterans Affairs Appropriations Subcommittee. The bill passed in the Senate by a vote of 92-5. 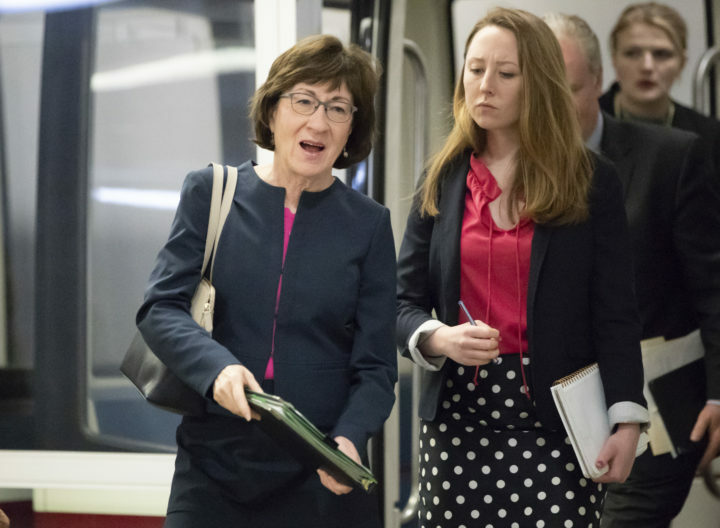 Sen. Susan Collins, R-Maine, and other senators arrive on Capitol Hill in Washington in this Associated Press file photo. 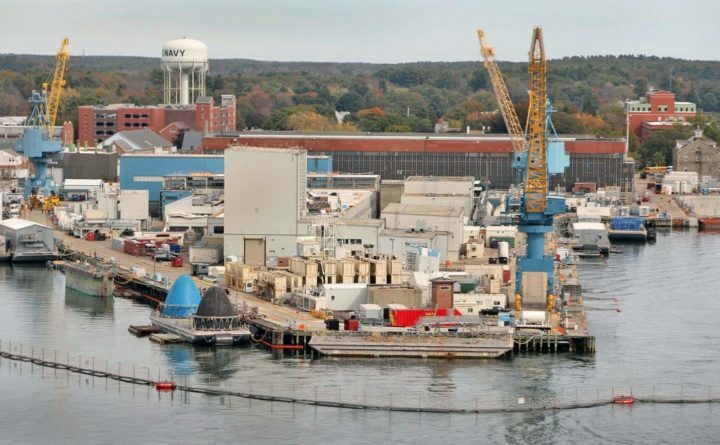 Collins announced Thursday that a bill containing $162 million in funding for improvements at Portsmouth Naval Shipyard in Kittery is heading to President Donald Trump's desk to be signed into law. These projects are set to ensure the shipyard can efficiently dock both Los Angeles and Virginia class submarines to conduct maintenance, support the requirements to execute Los Angeles class service life extensions in years to come, and expand an outdated warehouse facility that will help the shipyard receive, inspect and distribute submarine components for worldwide fleet support. Shipyard commander Capt. David Hunt has been out in the community recently talking about the important of the work at Dry Dock 1. The dock can now only accept the older Los Angeles class subs, which will be phased out by 2029. The other two docks have already been upgraded for the Virginia class.